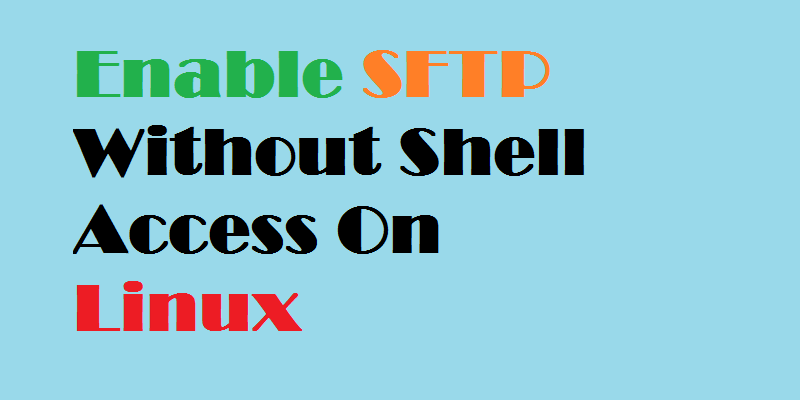 SFTP stands for SSH File Transfer Protocol and it's a secure way of transferring files to a server using an encrypted SSH connection. Despite the name, it's a completely different protocol than FTP (File Transfer Protocol), though it's widely supported by modern FTP clients. In some cases, you might want only certain users to be allowed file transfers and no SSH access. In this guide, we'll set up the SSH daemon to limit SFTP access to one directory with no SSH access allowed on per user basis. The following steps and commands was performed on Ubuntu 16.04 in our lab but you can use any linux distribution you like. First, create a new user who will be granted only file transfer access to the server. Here, we're using the username Peter, but you can use any username you like. You'll be prompted to create a password for the account, followed by some information about the user. The user information is optional, so you can press ENTER to leave those fields blank. Note: Some versions of OpenSSH do not have such strict requirements for the directory structure and ownership, but most modern Linux distributions (including Ubuntu 16.04) do. There are a number of ways to work around this ownership issue. In this guide, we'll create and use /var/sftp/uploads as the target upload directory. /var/sftp will be owned by root and will be unwritable by other users; the subdirectory /var/sftp/uploads will be owned by peter, so that user will be able to upload files to it. Change the ownership on the uploads directory to peter. In this step, we'll modify the SSH server configuration to disallow terminal access for peter but allow file transfer access. Match User tells the SSH server to apply the following commands only to the user specified. Here, we specify peter. Note: You can omit the PasswordAuthentication yes line and instead set up SSH key access for increased security. You have now configured the SSH server to restrict access to file transfer only for peter. The last step is testing the configuration to make sure it works as intended. Let's ensure that our new peter user can only transfer files. This means that peter can no longer can access the server shell using SSH. You have now verified that the restricted configuration works as intended. The newly created peter user can access the server only using he SFTP protocol for file transfer and has no ability to access the full shell. You've restricted a user to SFTP-only access to a single directory on a server without full shell access. While this guide uses only one directory and one user for brevity, you can extend this example to multiple users and multiple directories. The SSH server allows more complex configuration schemes, including limiting access to groups or multiple users at once or limited access to certain IP addresses. You can find examples of additional configuration options and explanation of possible directives in the OpenSSH Cookbook.